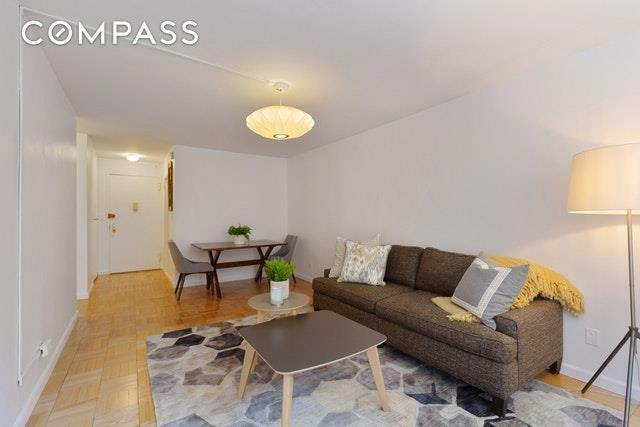 Move right into this freshly painted, south-facing, gracious one-bedroom in a convenient Gramercy location. 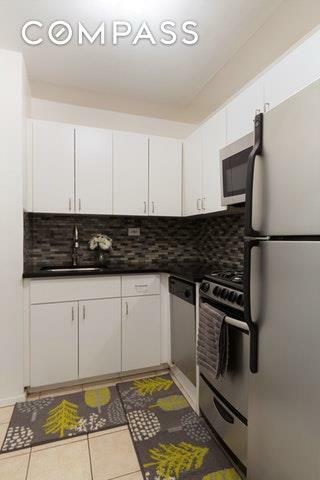 The apartment features a renovated kitchen with stainless appliances, granite counters, and a glass-tiled backsplash. Glorious sunshine abounds through the five south-facing windows also offering city and sky views. 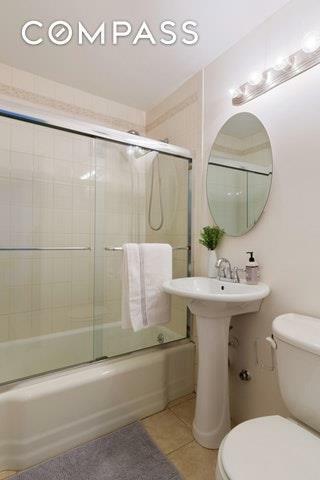 An updated bath in a neutral palette, hardwood floors, and great closet space round out the many reasons to make Apt. 4N at 301 E. 22nd Street your new home. 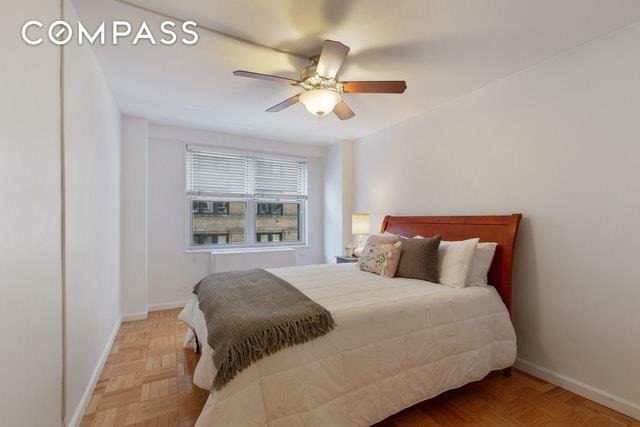 Gramercy East is a full-service, luxury building offering a 24-hour doorman, a live-in resident manager, a garage, beautifully planted roof deck, laundry room, bike room and a storage room with individual units. Pied a Terres, gifting, and co-purchasing are all permitted with board approval. Close to endless restaurants, shopping, transportation, markets and more. Listing courtesy of Danelle Snider of Compass.